November 29th, 2018 – White Chicks came out in 2004, and while the Wayans brother-helmed film didn’t win any Oscars (although it was nominated for Worst Picture in both the The Razzie and The Stinkers Bad Movie Awards), it’s found itself under the cinematic spotlight in recent months. Megyn Kelly’s defense of blackface during Halloween sparked ongoing conversations about the differences between donning blackface and whiteface. In their film, Marlon and Shawn Wayans are disgraced FBI agents who go undercover as white hotel heiresses in order to stop a kidnapping plot and restore their reputations. To do so, they lighten their faces with latex masks, pop in some blue contacts, and drape long, blonde locks over their heads. 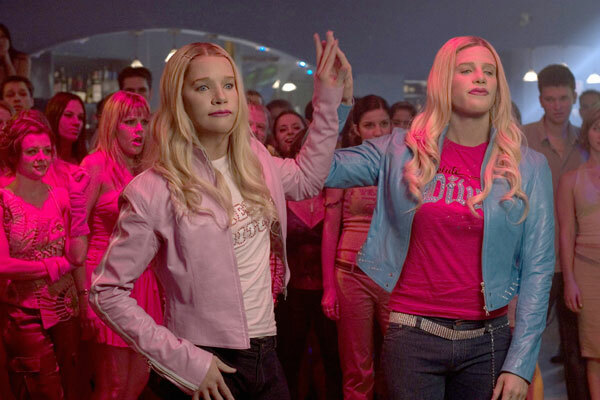 They also win a dance battle in a club scene that should have given away the fact that they’re not actually white chicks. 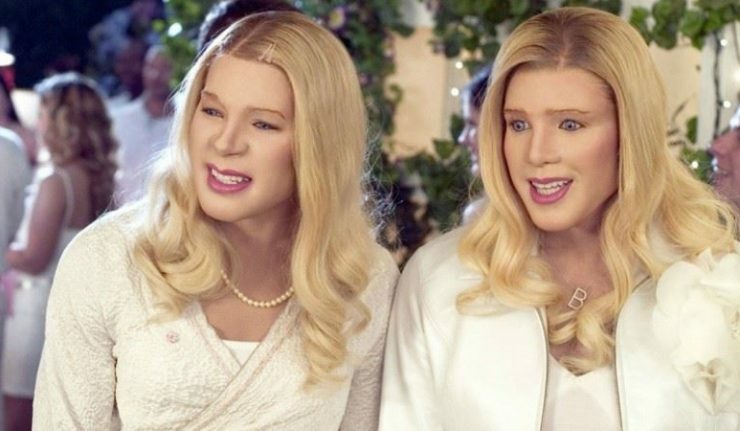 After its release in June of 2004, White Chicks didn’t receive much flack for using whiteface, instead getting criticism for a lazy plot and tired jokes. In Roger Ebert’s review, he slams the film for not even attempting to shed light on racial insights. The notorious film critic goes on to say that even though the gag is more about learning how to be a woman than about being white, its depiction relies on surface level revelations. In recent years, the movie has received more pointed criticism when it comes to race even if it didn’t have any intention of making that issue a focal point 14 years ago. 2018 is a very different world from 2004, and people are quick to label things right and wrong. Following Kelly’s split from the Today show, her colleagues at NBC offered their opinions on wearing blackface. Longtime anchor Al Roker received a question on Twitter hoping to trap him in a hypocritical stance. When asked if he was OK with the use of whiteface in White Chicks after he denounced any form of blackface, Roker gave a consistent answer. “Dude, didn’t see that movie. But let me jump in the DeLorean with Doc Brown and travel to 2004 to denounce it,” he wrote. With or without a DeLorean, more and more people have denounced White Chicks since its release. It often makes the lists of movies that are “most racist” or “would never get made today” deeming it an example of reverse racism with politically incorrect scenes. The Keenen Ivory Wayans-directed comedy certainly isn’t the first to use whiteface for comedic content. Eddie Murphy wore whiteface to transform into a white man for a 1984 episode of Saturday Night Live, which has been praised as one of his best sketches. James Hannaham wrote about the differences between Murphy’s sketch and the Wayans’ film for New York Magazine noting that the latter’s work rarely has political intentions. Murphy’s motivation, while comedic in nature, was to call out the privilege he is often denied due to the color of his skin. And while Hannaham gives SNL a little more slack, his underlying message is that any black performer using whiteface has to recognize its history. Do you think White Chicks would be made today? Does the intention of the project make wearing whiteface more acceptable?